In 2012, director Rich Moore went solo and, with Wreck-It Ralph, he gave Disney one of the best animated films of the decade. The easiest (but trivial) idea for a follow-up could be to explore other vintage games, but fortunately Moore worked on different and exciting concepts with another director, Phil Johnston. 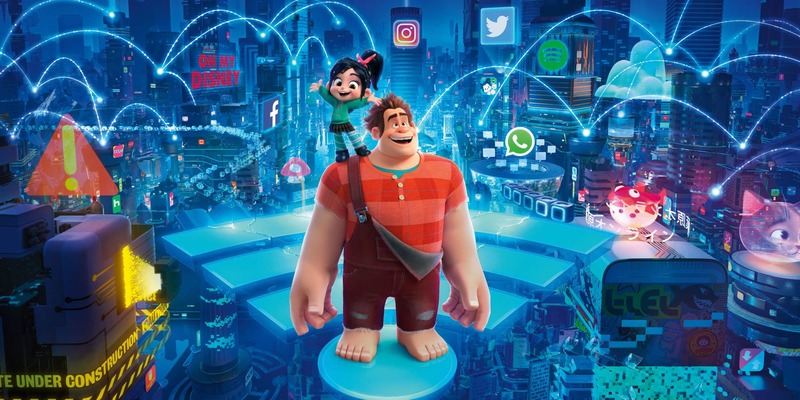 The result is Ralph Breaks The Internet a delightful sequel which debuted in U.S. theaters on November 21 and it’s set to be released in Italy on January 1, 2019. 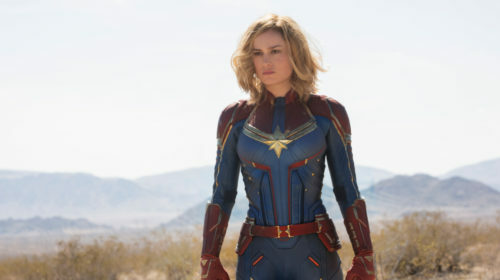 Again, the film features a starry voice cast: John C. Reilly, Sarah Silverman, Gal Gadot, Taraji P. Helson, Jane Lynch, Jack, McBrayer and Alfred Molina. The opening scene takes us back to the Litwak’s Family Fun Center & Arcade: we know from the original film that Ralph is the antagonist of the game Fix-It Felix Jr. and Vanellope von Schweetz is one of the racers of Sugar Rush: the two are best friends and they enjoy their time together. 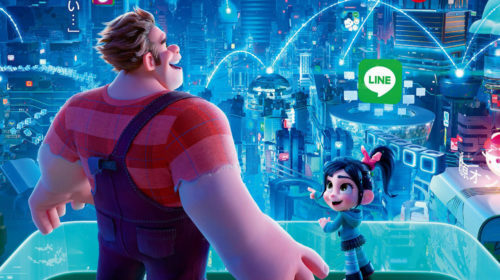 While Ralph is fully satisfied of his “ordinary” life, princess-racer Vanellope confesses her friend that she’s tired of her predictable game tracks. Ralph tries to help her by building a new difficult route: unfortunately, Vanellope is unable to get past the finish line with her car and the human player using Sugar Rush breaks the controller in the attempt to complete the game. 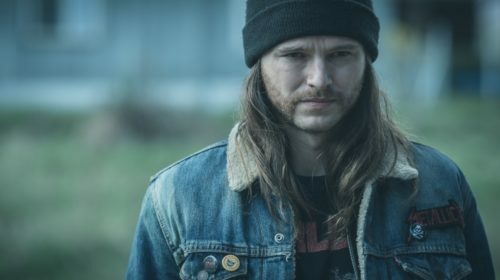 As Litwak’s owner tells the client that he can’t afford such a rare and expensive replacement, all Sugar Rush’s characters find themselves without a job. The good news is that the Arcade just got wi-fi and Ralph and Vanellope can get a new controller on eBay. What’s the problem? They have no idea of what cyberspace and e-commerce are, so they place a bid without having the money. 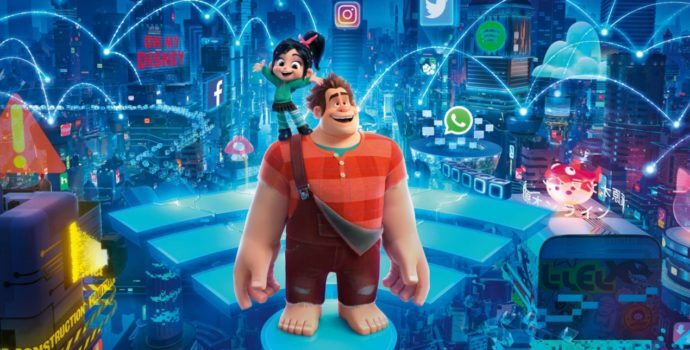 The pair will experience the digital world in its full potential: Ralph and Vanellope get involved in modern 3D games, they learn about spam and viruses but, most of all, they enter the Social Media Age and Ralph becomes a web superstar in order to buy the controller. 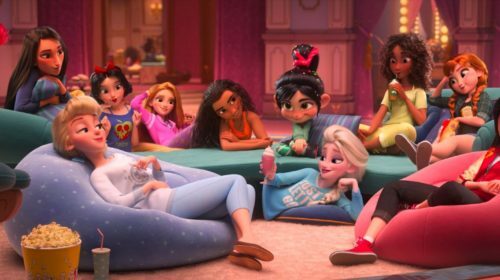 Ralph Breaks The Internet is a great and unexpected sequel to Disney’s 2012 smash hit: it’s a 2 hour web ride with an engaging narrative and many funny moments (some of them feature the famous Disney princesses). Written by Pamela Ribon, the film reimagines the internet as a big metropolis, with buildings reproducing the real companies that rule the world wide web (from Amazon to YouTube). 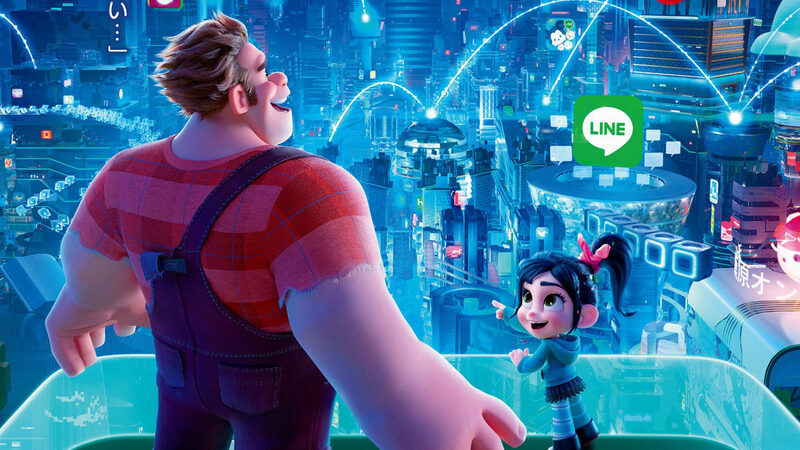 We follow Ralph and Vanellope as they make their way through ads, pop ups and well-hidden virtual monsters, experiencing the good and the bad of the internet. 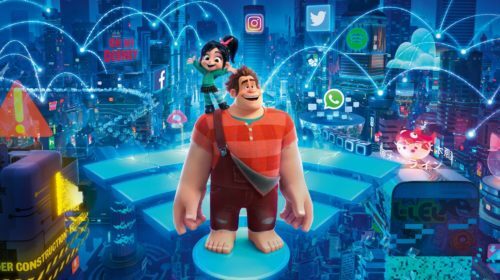 But the film is not only an animated-comedy about being online: Ralph Breaks The Internet is, first of all, a tale of two friends who learn something more about each other during a virtual adventure and, without spoiling to much, laughters and tears will lead you to an emotional end of the journey. 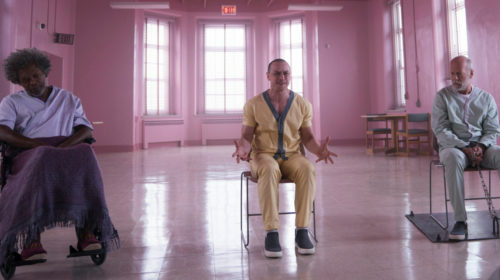 Once again, Disney did a great job conveying deep messages in a simple way, which makes sense to children and adults.